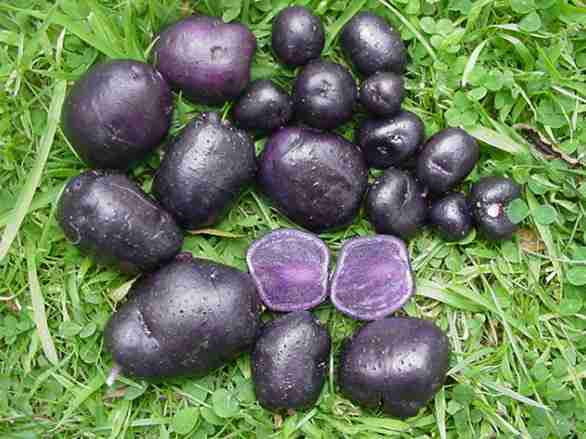 This is an ancient potato which is also known as Negresse; French. 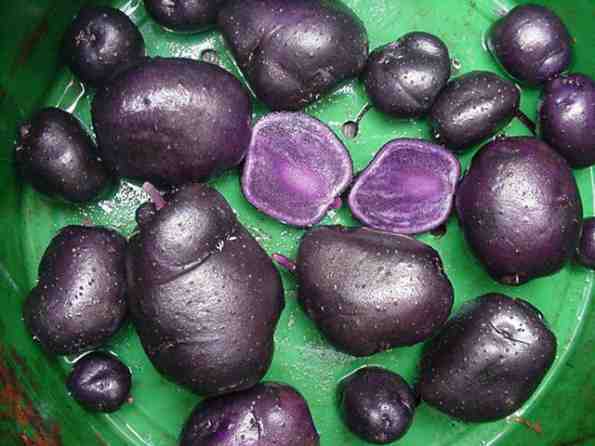 The skin colour is bluish-purple, almost the same as Salad Blue, but the tuber shape is slightly different. The flesh is dark blue, and the flowers are blue, occurring in smaller clusters than on the salad blue plant. 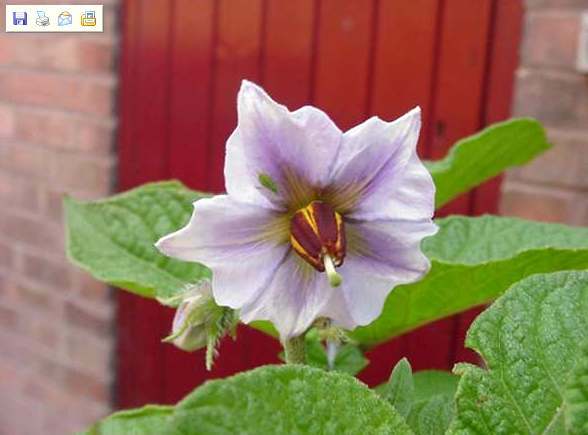 Pleasant flavoured floury variety; grows well in pots. Yield around 2lb from a 3 gallon container. I have seen one or two internet references suggesting that violette and vitelotte are the same variety. I have only grown them a couple of times but my experience is that the shapes are different.